A simpler construction supplied with the grain outside as normal or with the flesh side out dyed and waxed. 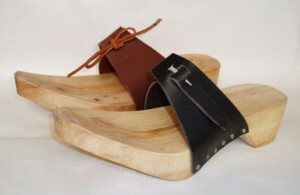 Used from the 14th Century to protect the shoe when walking outdoors. Supplied with the strap closed with either lace or nail. 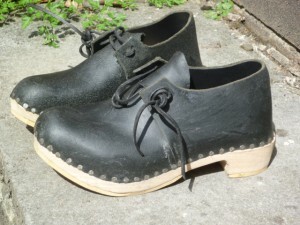 Clog prices as Gibson Lace.